According to reports, many video game manufacturers are signing product placement deals and licensing agreements with gun companies. These games—which feature many authentic weapons, ranging from pistols to rifles and machine guns—are being touted as a very “dangerous” promotional platform by anti-gun lobby groups. Most recently, the Moms Demand Action for Gun Sense in America and The Gun Truth Project released statements about these product placements. 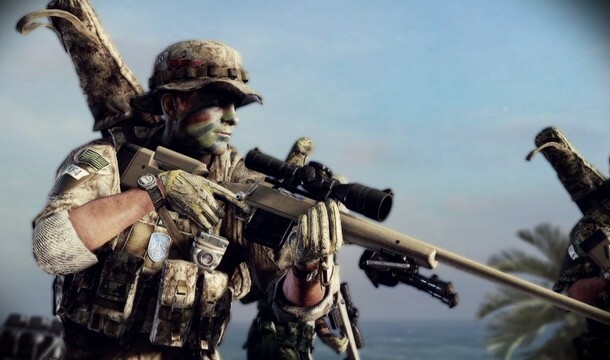 Both groups are urging video game designers to cut ties with weapons manufacturers since their products are often exposed to children and teenagers. “We are outraged that video game companies and gun manufacturers are entering into deals to market guns to our children, particularly given the real-life epidemic of gun violence in America,” explained Shannon Watts, the founder of Moms Demand Action for Gun Sense in America. A report from Moms Demand Action showed that licensing deals between weapons manufacturers and video game designers increase the visibility of weapons among children and teenagers—who are at impressionable stages in their lives. Furthermore, the report demonstrated that these promotional deals are not profitable for video game manufacturers. In comparison, games without authentic weapons made just as much profit as those with authentic ones. In conclusion, the economic benefit in these arrangements exclusively goes to gun manufacturers. Watts also praised Electronic Arts for terminating its licensing agreements, including one with a gun manufacturer.